EghtesadOnline: MMK, one of Russia’s largest steel producers, has stopped deliveries to Iran against the backdrop of new sanctions Washington has promised to impose on Tehran. The announcement was made by Andrey Eremin, the company’s director for economics, in an interview with Reuters. The sanctions, announced soon after US President Donald Trump pulled out of an international nuclear deal negotiated by his predecessor Barack Obama, are due to kick in next month and include a ban on the sale, supply and transfer to or from Iran of raw or semi-finished metals. Although Kremlin opposes the move and says that unilateral US actions against a third country should not affect how Russia does business, steel traders told Reuters earlier this month that Russian metals firms were cutting back on sales to Iran for fear, at least in part, of falling foul of the sanctions, Financial Tribune reported. MMK, which previously shipped hot-rolled steel coils to Iran along with its Russian competitor Severstal, was not affected by the move, Eremin said, as it had already redirected deliveries to other markets. This was the result of Iran’s growing domestic production and consequent reduction in the volume of imports. Eremin added that MMK has postponed the launch of a lucrative project in Turkey due to uncertainty created by global trade wars. 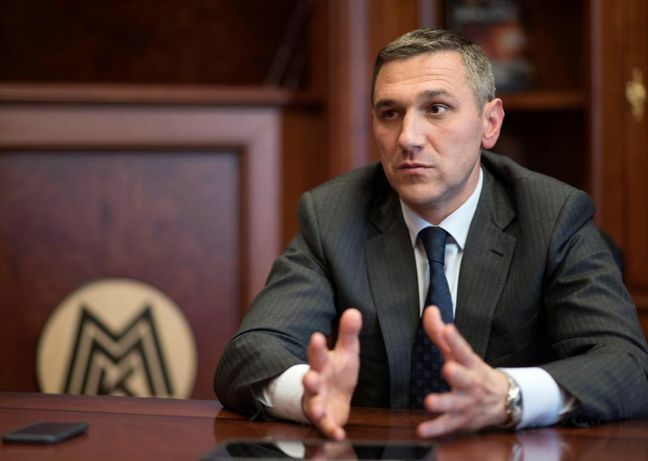 The project involving the re-launch of hot-rolled steel production at its Turkish site was expected to add between $90 million and $100 million to MMK’s core earnings, Eremin said, but a sudden surge in global trade barriers caught the company off guard, forcing it to delay. “Unfortunately, we made this decision before the US introduced tariffs against metallurgical companies. We did not know that this would happen,” he said. The MMK Metalurji complex, located near Iskanderun on Turkey’s Mediterranean coast and in Istanbul, was built by MMK between 2007 and 2010, at a cost of over $2 billion. Hot-rolled steel production at the site was put on hold in 2012 amid a global slump in steel prices, but was due to restart this summer as the market recovered. Now MMK has put the re-launch on hold and plans to decide its fate in November, when the dust has settled on a wave of protectionist measures introduced by the United States and Europe in recent months. Trump imposed tariffs of 25% on steel and 10% on aluminum in March in a move mainly aimed at curbing imports from China. Last week, the European Union introduced a quota and tariff policy in response, fearing the impact on its own producers of a surge of steel imports following Trump’s decision. MMK is not affected directly by these measures as it does not export steel to the US and EU markets, but 30% of production at its Turkish plant head for the European market and neighboring countries.